Each year, as legislative sessions get under way across the country, The HSUS issues a report card concerning animal protection laws in all 50 states, Puerto Rico, and the District of Columbia. In it, we examine how the states are performing on policies related to wildlife, farm animals, companion animals, puppy mills, animal cruelty and fighting, and animals in research. We take about 70 policy ideas – such as adoption of felony-level penalties for cockfighting, or humane breeding standards for dogs – as our benchmarks. Then we determine if a given state has a policy, add up the numbers, make our judgments, and rank the states from top to bottom. This year, as for all six years that we've done this report, California tops the list for having passed the most animal protection laws, with Proposition 2 as just one of the strong measures that the state has adopted to help animals. 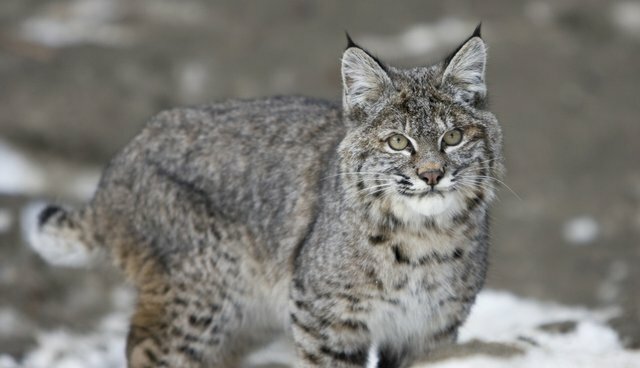 California is followed by Oregon, Illinois (whose outgoing governor vetoed a bobcat hunting and trapping bill earlier this week), Massachusetts, and New York and Virginia (tied for fifth place), all of which have been consistently strong on animal protection laws relative to other states. States that showed a big improvement in 2014 were West Virginia, which passed a ban on exotic animals as pets; Virginia, which phased out fox penning and began regulating pet stores with more rigor; and Minnesota, which cracked down on puppy mills and launched a program allowing for dogs used in research to be adopted instead of euthanized. The poorest performers were South Dakota, Wyoming, North Dakota, Mississippi, and Idaho - the only state in the nation to adopt an ag-gag measure in 2014. We do recognize, however, the strides these states are making to improve their animal protection laws. Last year, for example, South Dakota became the final state to enact felony level penalties for egregious animal cruelty. New Jersey and New York became the first states to ban the sale of ivory and rhino horns. Colorado banned greyhound racing, and Arizona and Iowa also restricted racing. Kentucky phased out the use of veal crates. Louisiana made cockfighting a felony on the first offense. Connecticut became the first state to restrict pet stores from acquiring puppies and kittens from breeders with severe Animal Welfare Act violations. There were also key defensive actions, such as Michigan voters nullifying two pro-wolf hunting laws. The HSUS blocked ag-gag bills in 11 of 12 states that considered them. We also fought off a "right to farm" measure in Oklahoma, but, despite the efforts of our rural outreach team, a similar measure squeaked by voters in Missouri by less than half of one percent of the vote. Altogether, working with animal advocates nationwide, The HSUS helped pass 137 new state and local laws to protect animals last year – the largest number ever passed in one year. A major item on our agenda this year will be to require that abusers handle the "costs of care" for the animals rescued from dogfighting, cockfighting, and other cases of cruelty – rather than placing the financial burden on animal protection groups. Yet, with all of this lawmaking last year and in the years prior, we also inevitably face a backlash, with efforts to turn back our gains or to deny us the opportunity to document the suffering, neglect, and abuse of animals. That is the very purpose of the measures dubbed as ag-gag bills – bills that criminalize taking pictures of animals on farms or the hiring of an animal advocate as a worker at a factory farm. Take a look to see where your state ranks, and please take action this year to lift your state in the rankings. I can assure you that the animal advocates in California and Oregon will be happy to feel your state breathing down their state's neck because you've helped pass so many more laws to help animals. For more details on how your state did, click here for Alabama through Missouri, and here for Montana through Wyoming, plus Washington, D.C. and Puerto Rico).